7 Tim Hawkes said 36 MVT members from all over the country would be at RIAT. Date: 05-04-18. Venue: Cirrus Room, Aviator, Sywell. Apologies: Simon Tasker and Martin Samson. Present: Neill Elliott (secretary) and around 100 members and guests. The minutes of 01-02-18 were approved and signed. Date: 07-12-17. Venue: Aviator, Sywell. Apologies: Simon Tasker, John Underwood, Ian Gardiner, Roy Sharman, John Denney, Martin Samsom. Present: Neill Elliott (chairman plus 16 other members. 2 NE said there was no meeting in January but the February one was the AGM as well as a “Sywell digout” bring and buy sale. Bring any items you have for sale. 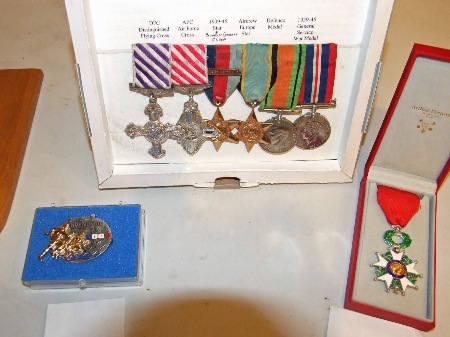 PC said the Army Cadets had given him a load of old uniforms and he would be selling these for charity. Date: 04-05-17. Venue: Carpetbaggers Museum, Harrington Airfield. Apologies: Ian Gardiner, Peter Clarke, Garry Stock, George and Caroline Jackson. Present: Neill Elliott (chairman) plus 20 other members. 5 IG said the guest speaker at the April meeting would be Gordon Hall, a Normandy tour guide. He reminded members that the May meeting was to be at Harrington Carpetbaggers Museum. Business would be kept short and then we would have a film and guided tour around the former USAAF base. The June meeting would be at Wicksteed Park, but on Tuesday, June 6. 11 TH said the CoM had been looking at individual public liability insurance for members. A proposal before the MVT AGM would be to provide this with a £10 increase in the membership fee. After discussion of this, PC proposed a straw poll be taken and this showed all in favour of the CoM proposal. Date: 01-12-16. Venue: Aviator, Sywell Aerodrome. Apologies: None given. 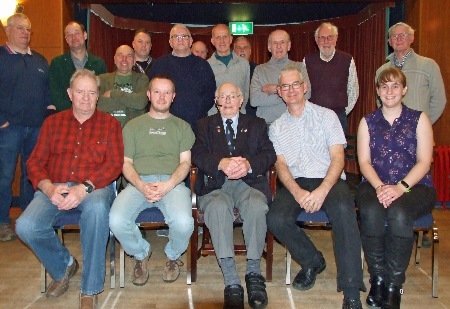 Present: Ian Gardiner (secretary), plus 22 other members. 1 Brian Rive and Heather Bailey attended the Shuttleworth Collection Military Pageant and were made welcome. Tim Cross, Jim Poole and Peter Clarke attended the Northampton Armed Forces Day, met the Mayor and pictures had been sent to Windscreen. AOB: PC said we had been invited to return to the Shuttleworth Collection during a flying day. IG to liaise with Shuttleworth.